A new, effective incontinence treatment method using Functional Magnetic Stimulation. It can be used with both women and men, for all types of urinary and faecal incontinence, for faster rehabilitation after surgery or birth, and even for some sexual dysfunctions or chronic pain in the pelvis or lower back. 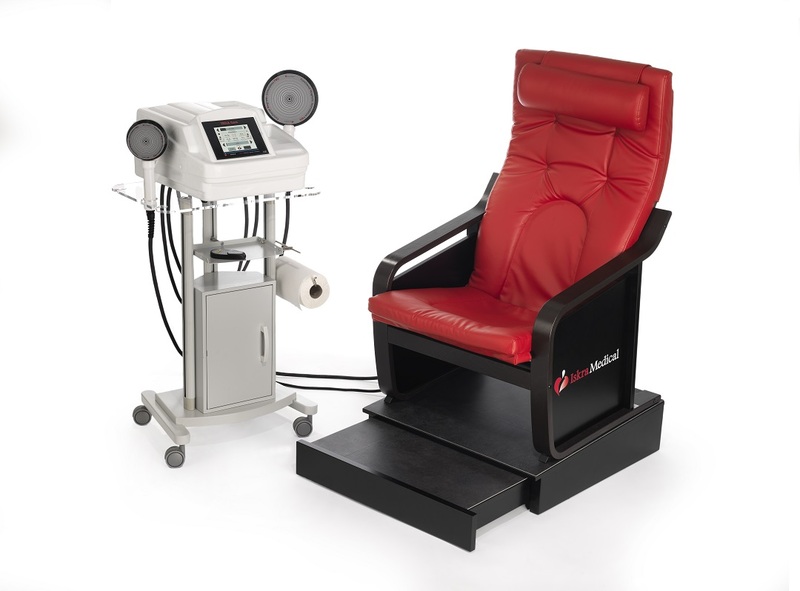 The Tesla Care device was developed for treatment of the pelvic floor and urinary incontinence using the special FMS technology – Functional Magnetic Stimulation. The pulsed magnetic field generated by the device causes the muscles of the pelvic floor to contract without the need for any electrodes. FMS is an effective alternative to established electrical stimulation methods, as it has many advantages for rehabilitation. Magnetic fields are less painful, allow deep penetration into heterogeneous biological tissue and do not require skin contact. FMS does not stimulate pain nerves on the skin surface and is therefore more pleasant than classic electrical stimulation. Magnetic fields pass through clothes, tissue and bone and reaches otherwise inaccessible tissue. FMS utilizes super inductive properties of the magnetic field deep inside the body and thus stimulates muscles that cannot be reached using electrical stimulation. FMS treatment increases the strength and endurance of the pelvic floor muscles. Additionally, the patient learns how to properly perform exercises that strengthen the muscles. This provides effective and long-term relief of uncontrolled urine flow and weakened pelvic floor muscles. 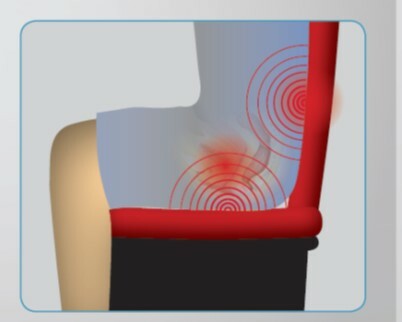 With the two applicator chair your treat incontinence and pelvic floor problems with the applicator built in the seat of the chair and in the back of the chair. problems due to poor circulation. The therapy is simple and requires no special patient preparation. During therapy, the patient remains clothed and sits on a comfortable incontinence chair. During stimulation, he/she focuses on awareness of muscle contractions, making it easier to learn the muscle training. 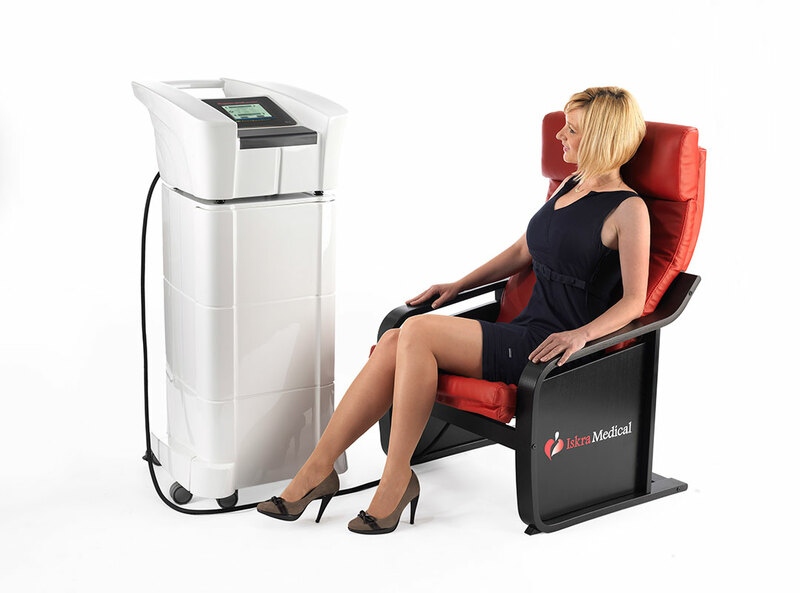 The therapy is non-invasive, painless and without any known side effects. Improvement can be seen after only a few sessions. The therapy plan is determined separately for each patient by a specialized doctor after an initial consultation and examination. 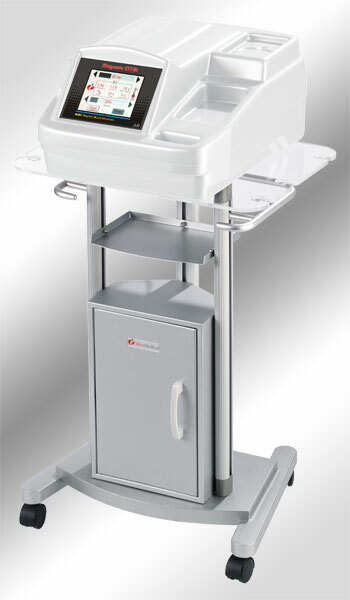 For FMS application in peripheral tissue please refer to the Tesla Stym device description. 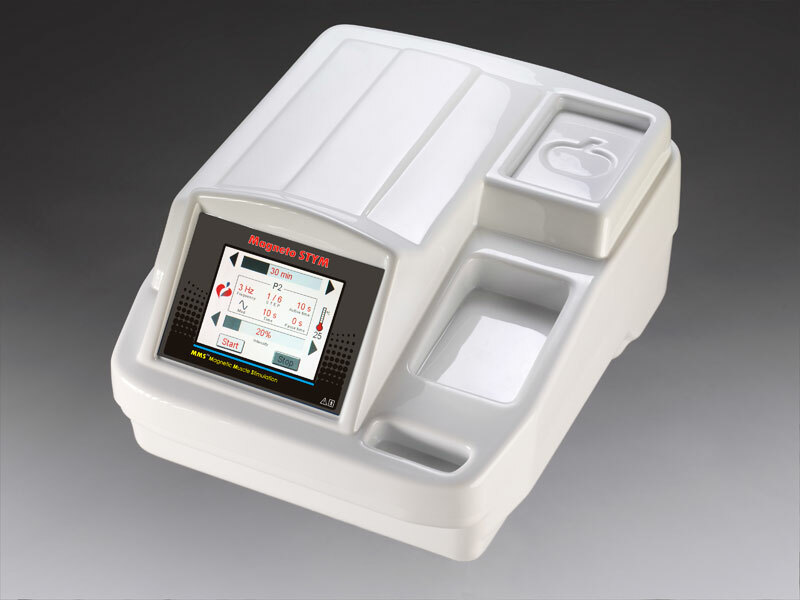 You can connect up to 4 FMS handheld applicators to the Tesla Care device. The increased weight of the uterus and the hormonal changes during pregnancy place a great strain on the pelvic floor muscles, decreasing their capabilities. Birth can cause additional stretching and damage the nerves or muscles even when the birth canal looks completely untouched. This eventually leads to uncontrolled urine and/or faeces leakage after birth. The only way to prevent such postpartum incontinence is through exercises that strengthen the pelvic floor muscles. Such exercises should already be performed during pregnancy and be continued after birth. Nonetheless, experts estimate that up to 28% of all women have incontinence-related problems even two years after birth. FMS allows the pelvic floor muscles to regain their proper tone, strength and endurance rapidly after birth. Incontinence can be prevented or cured within 2-3 weeks! Let's help our pelvic floor muscles with the Tesla Care device so that they can fulfil their function properly!